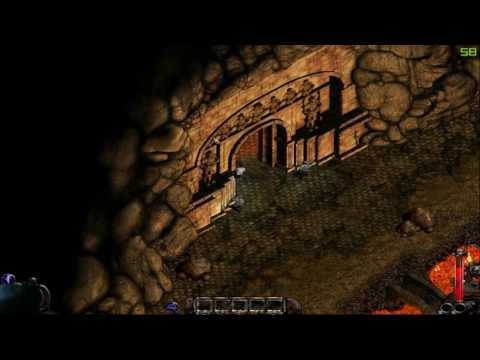 Diablo, also known as Diablo I, was released by Blizzard Entertainment in 1996. Diablo is a popular action-adventure game developed by Blizzard North that was released in late 1996, in which players take control of a lone hero fighting hordes of demons in a war between Heaven and Hell. Though players manage their character traits and various equipment as in an RPG, all actions are performed in real time. 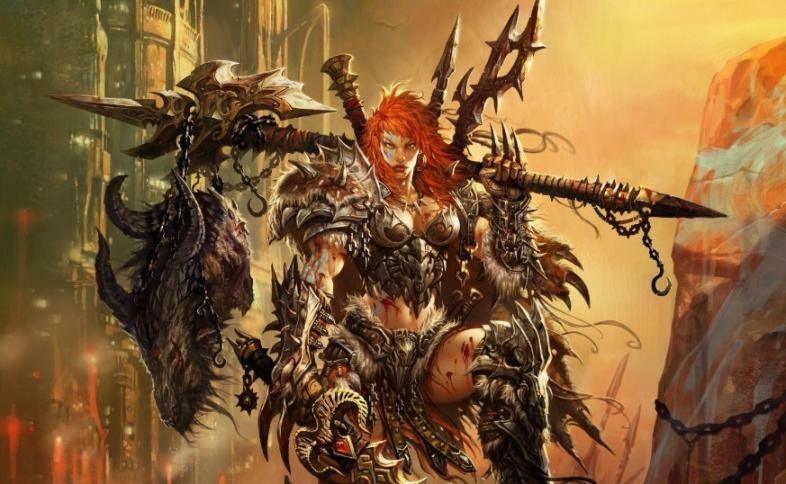 Here are the top 17 games to play if you love Diablo. The Incredible Adventures of Van Helsing is an action RPG that was released in May 2013. The game follows the son of legendary vampire hunter Abraham Van Helsing as he travels through a gothic, steampunk-style world based on 19th century Eastern Europe, exterminating monsters and strange creatures as he goes. The gameplay combines keyboard and mouse commands in combat to blend weapon usage with various spell-like abilities. Though it is technically an RPG, players do not have the option to choose a class of character, instead being limited to the ‘warrior’ or ‘hunter’ type characterized by Van Helsing. This discrepancy is remedied in the game’s sequels. Our hero stands near the massive skeleton of a monster, assumingly one he has killed. As well as bloodthirsty monsters, players will have to fight off mobs of thugs that rule the streets of dismal Borgova. 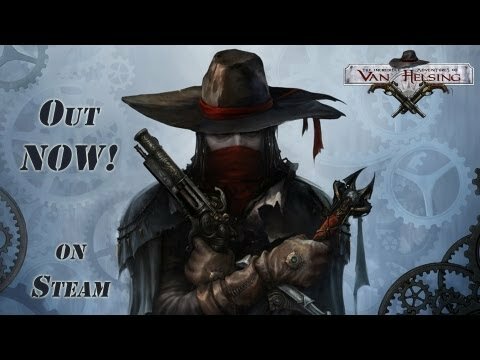 Released in 2014, The Incredible Adventures of Van Helsing 2 is the sequel to The Incredible Adventures of Van Helsing (see #16), and is a continuation of the character arc of the first game. The game is often seen as an improvement on its predecessor, and retains all the finer points of this action RPG. Many hail the game as having a charmingly anachronistic and comedic atmosphere, and introduces more varied classes of character and skill sets that improve on the RPG aspect of the first game. A combination of mouse and keyboard commands makes the combat fun and effortless, and new skills and items continue to enrich the action RPG experience. Van Helsing's companion is Lady Katarina, a banshee that the player can also take control of and guide through skill development. Here, she is in her 'Ranged' form (right). She also has a 'Ghost' and 'Melee' form. On the left you can see the overlay displaying the skill development of your character, formatted in the traditional RPG style. 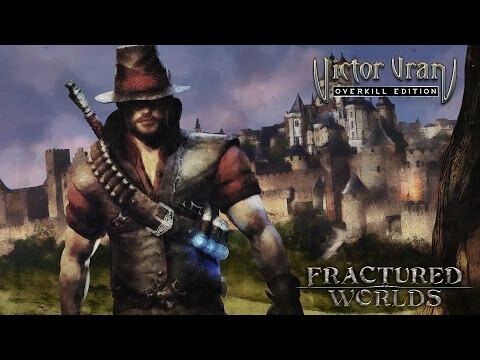 Victor Vran ARPG was developed by Haemimont Games and released in 2015. It is set in a gothic fairytale-like world where the player takes control of Victor Vran, a demon hunter who arrives in the city of Zagoravia to assist its inhabitants in fighting off a demonic infestation. The game’s combat combines aRPG elements and reaction based moves that allow players to dodge attacks. It also features a jump mechanic that can be used in combat, solving vertical puzzles, and reaching secret portions of the map. The hero has no assigned character class, allowing players to freely change between different classes of weapon, consumables, and demonic powers. Each weapon class offers one basic and two special attacks, and these attacks can be combined for special point bonuses. The game also features a cooperative multiplayer mode. The game's exceptional jump mechanics can be used to a player's advantage in combat. 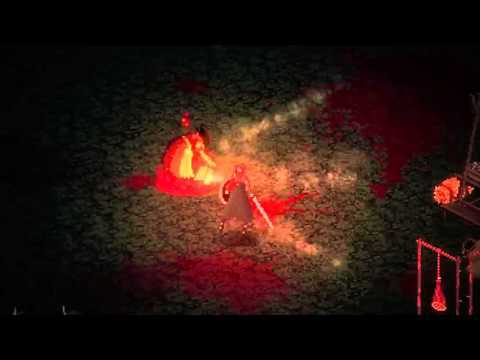 Vran's demonic abilities are used much like spells in other aRPGs. Developed by Westwood Studios and released in 2000, Nox follows the story of Jack, who has been pulled into a high-fantasy parallel universe and must now defeat a powerful sorceress to return home. The player selects from three classes of character at the beginning: Warrior, Conjurer, or Wizard. Depending on which selection the player makes, the game can follow three distinct storylines, each with its own unique ending. In multiplayer, players have the option of several competitive game modes, including death match and capture the flag. A free downloadable expansion called NoxQuest also adds a cooperative multiplayer mode. Originally, the developer ran an online ladder ranking system of Nox multiplayer matches, but this has since been taken down. Despite its birth in the genesis of PC gaming, Nox features a very detailed style of graphics. Considering that many of Jack's enemies are necromancers, a trip to the Land of the Dead was inevitable. Released in 2011, Bastion is a single-player aRPG where the player takes control of a character called ‘The Kid’ and moves through various floating environments in which they fight enemies. The game has a level structure, and between each level the player can return to the Bastion, where fragments - the game’s currency - can be spent on materials and upgrades. 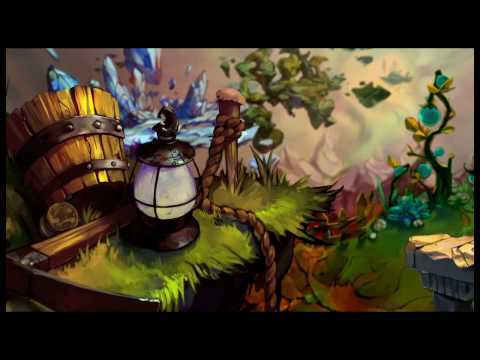 Additionally, players collect items called Cores and Shards at the end of each level; Cores are used to add structures to the Bastion, such as the Distillery (a building that allows players to select upgrades) and Shards are used to expand these structures. After the game is completed, a player can begin a ‘new game +’ mode, where they replay the game while keeping all the experience, weapons, and fragments that they gained the first time they played the game; this mode offers more options inside the Bastion’s structures and two extra journeys into Who Knows Where. Bastion is styled like an old-school cartoon, with beautiful scenery and bright colors. All the level environments are floating, and they form paths when a player reaches the edge. Set within a mythic Norse world, Eitr follows the story of the Shield Maiden, who must save the world tree Yggdrasil and uncover her destiny by venturing through the nine Norse realms. The game features a variety of weapons, strategic movement mechanics, accurate arrow strikes, and spell attacks. The developers have also replaced the traditional experience point system with a Favor system, in which players must choose between a permanent level upgrade and more powerful, but fleeting, perks that are awarded upon player death. The game is due for release sometime this year. The Shield Maiden was born under strange circumstances, and is now on a quest to discover the meaning of her destiny. Each of the nine realms has a unique set of monsters to overcome.